The Chinese have launched another new satellite in the military’s Yaogan Weixing series via the use of a Long March-4C (Chang Zheng-4C) rocket. The mission began with lift off at 06:31 UTC on Monday from the LC901 launch platform of the LC9 launch complex at the Taiyuan Satellite Launch Center. Chinese media is referring to the new satellite as ‘a new remote sensing bird that will be used for scientific experiments, land survey, crop yield assessment, and disaster monitoring’. The previous launch in this series took place on September 8, when a Long March-4B launch vehicle orbited a satellite believed to be the third electro-optical, second generation satellite equipped with a short-angle observation system and a Phoenix Eye-2 based bus. This launch was the 207th Chinese orbital launch, the 195th success and the 194th launch of the Long March launch vehicle family. It was also the 48th successful orbital launch from the Taiyuan Satellite launch Center, the 3rd launch from this space center in 2014 and the 7th orbital launch for China this year. The first Yaogan Weixing satellite (29092 2006-015A) was launched by a Long March 4C (Y1) from the Taiyuan Satellite Launch Center on April 27, 2006. Developed by Shanghai Academy of Spaceflight Technology (SAST), the details about this satellite were closely guarded, but later it was said that this was the first Jianbing-5 satellite, equipped with the first space-based synthetic aperture radar (SAR). The second satellite on the series, the Yaogan Weixing-2 (31490 2007-019A), was launched on 25 May, 2007, by a Long March-2D (Y8) from the Jiuquan Satellite Launch Center. Details were also restricted, though it is claimed that this spacecraft is an electro-optical military observation satellite also known as JB-6 Jianbing-6, complementing the results of the Yaogan Weixing-1. Yaogan Weixing-4 (33446 2008-061A) was then launched on December 1, 2008. This was the second electro-optical satellite on the series and was launched by a Long March-2D (Y9) from Jiuquan. Other satellite in the Jianbing-6 series were Yaogan Wexing-7 (36110 2009-069A), launched on December 9, 2009 from Jiuquan by a Long March-2D (Y10), and Yaogan Weixing-11 (37165 2010-047A) launched on September 22, 2010, by the Long March -2D (Y11) launch vehicle from Jiuquan. 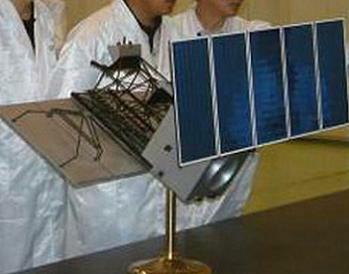 The first second-generation electro-optical reconnaissance satellite developed by CAST, Yaogan Weixing-5 (33456 2008-064A), was launched on December 15, 2008. 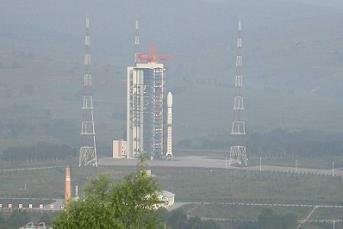 The launch took place from Taiyuan by the Long March-4B (Y20) rocket. Yaogan Weixing-12 (37875 2011-066B) was other second-generation electro-optical reconnaissance satellite, launched on November 11, 2011, by the Long March-4B (Y21) launch vehicle from Taiyuan, as well as Yaogan-21. Yaogan Weixing-6 (34839 2009-021A), launched by the Long March-2C-III (Y19) from Taiyuan on April 22, 2009, was a second-generation SAR satellite developed by SAST, having a spatial resolution of 1.5m. Other second-generation SAR satellites were the Yaogan Weixing-13 (37941 2011-072A) launch on November 29, 2011, by the Long March-2C (Y20) launch vehicle from Taiyuan and the Yaogan Weixing-18 (39363 2013-059A) launch on October 29, 2011, by the Long March-2C (Y25) launch vehicle from Taiyuan. The Yaogan Weixing-8 (36121 2009-072A), launched on December 15, 2009, by the CZ-4C (Y4) from Taiyuan was a new generation of optical reconnaissance satellite. Similar to the Yaogan-8 was the mission of Yaogan Weixing-14 launched on May 10th, 2012 by the Long March-4B (Y12) from Taiyuan. The YaoGan Weixing-9 mission, launched March 5, 2010 from Jiuquan, had an architecture different from the previous missions on the series. Launched by Long March-4C (Y5) rocket, the mission put not one but a triplet of satellites in Earth orbit. Flying in formation this three satellites form what looks like a type of NOSS system. Similar mission were the Yaogan-16, Yaogan-17 and Yaogan-20, all launched from Jiuquan. The Yaogan Weixing-15 was a optical reconnaissance satellite launched on May 29, 2012 by the Long March-4C (Y10) from Taiyuan. This vehicle also used a 3.35m diameter fairing for the Yaogan 15 ride uphill. Another mission similar to Yaogan-15 was the Yaogan Weixing-19 (39410 2013-065A) launched on November 20, 2013, by the Long March-4C (Y14) from Taiyuan. The launch vehicle used was a Long March 4C. With its main commonality matched to the Long March 4B, the first stage has a 24.65 meter length with a 3.35 meter diameter, consuming 183,340 kg of N2O4/UDMH (gross mass of first stage is 193.330 kg). The CZ-4C is the only Chinese launch vehicle with a restartable N2O4/UDMH third-stage. The stages of the rocket are transported to the launch centre by railway, and offloaded at a transit station south of the launch complex. They are then transported by road to the technical area for checkout procedures. The launch vehicles are assembled on the launch pad by using a crane at the top of the umbilical tower to hoist each stage of the vehicle in place. Satellites are airlifted to the Taiyuan Wusu Airport about 300km away, and then transported to the centre by road.